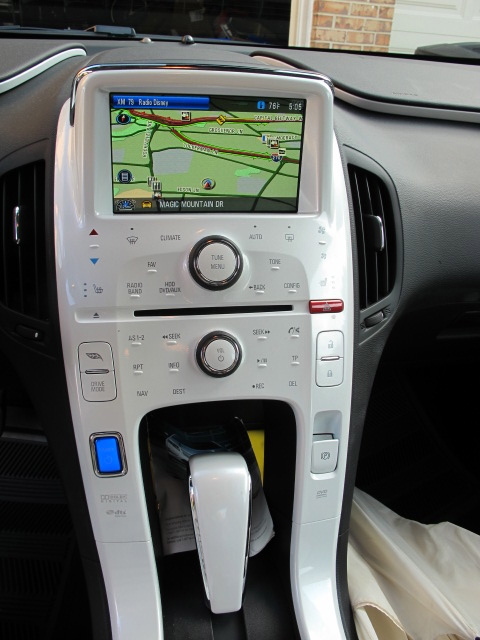 Home » Uncategorized » Chevy Volt Electric Car for our Family?? My husband got a mailer all about the Chevy Volt. Very nice I told him. A few days later he said he was going to go look at the Volt. Really? A four person car for our 7 member family? Yes, he said. It would be a great car for when we are just a small group. So he visited the Volt a few times and I still was not sold. The car is way too small I repeated. But since this would be my husbands car I told him fine. You want it, you can get it. So now we are proud leasers of a new Chevy Volt. The first few weeks I really hated the car. It smiled at me and then started to grow on me a bit. I started to love some things about it. *No gas to pay for. With prices hovering in the $4 a gallon mark, I did not miss filling up my car as often. Each charge will get you about 36-38 miles of driving without needing to plug in again. There is a small gas tank as a back up if you are going on a longer drive. I am proud to say we have gone almost 500 miles and not used even .1 of gas, woohoo! This picture is hard to see but it says 478 miles and 0.0 of gas. I love this! *Onstar for the life of the lease. Onstar is awesome! *XM Radio with a way of rewinding a song. Can you say Call Me Maybe played over and over again while driving to preschool? Maybe this should be a negative. *Easy to park, I have only driven big cars for years now and this car is really easy to park! *Speedy little thing. You barely step on the pedal and woosh you are off! Careful though, you do not want to get a speed camera ticket. *Quiet. This car is sooooo quiet. You turn it on and you can barely tell it is on. Sometimes people will stand next to the car and not realize I am trying to drive away. There is a teeny horn that you can use to alert pedestrians that you are moving. Smart Chevy Volt designers! *Great NAV system and console area. Easy to figure out and use. *Race car feel says my 4 year old. She only wants to go to school in her race car. *Last positive is a very comfortable seat for each person. Bucket seats all around. A real improvement from the minivan days. *Remembering to plug it in. Sometimes you just do not remember that extra little step. *You cannot fit as much in the trunk as you can in the minivan. I buy a lot at the store and need a way to bring it home. *You try to plan your trip to be in the under 40 mile mark, so that you will get back home before you need to charge it. *There are not that many charging stations YET. We do have a few, but not at every store we go to. That’s a long list, Sara! 😀 I’m glad that you have a lot of things to love about your car, which makes the purchase very worthwhile. I see that it took you some time to adjust to the car and found some things you didn’t like. But sometimes, compromise is inevitable. But I think that’s easy to bear if the gain outweighs the loss. The strongest advantage of electric cars is the complete lack of emissions. If you’re looking for greener ways to drive, then an electric car is for you. On the other hand, the technology we have doesn’t enable electric cars to run for more than 100 miles, but that can also change soon. Wow! 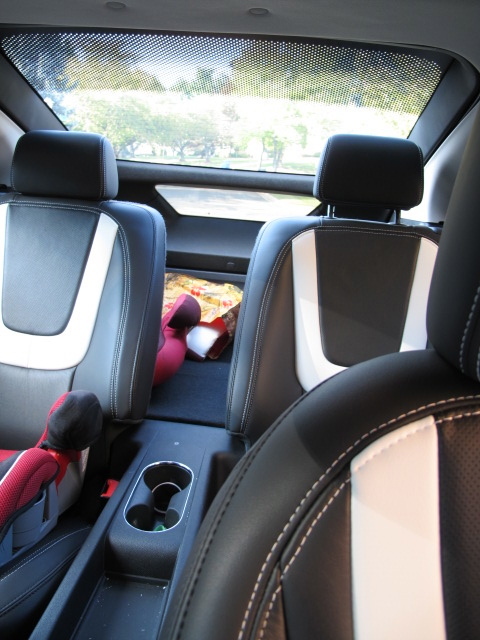 I have to say that your car interior is beautiful! A black and white combination, huh! It looked nice especially the seats. Likewise, it has great tech features that really makes your driving cozy and fun!